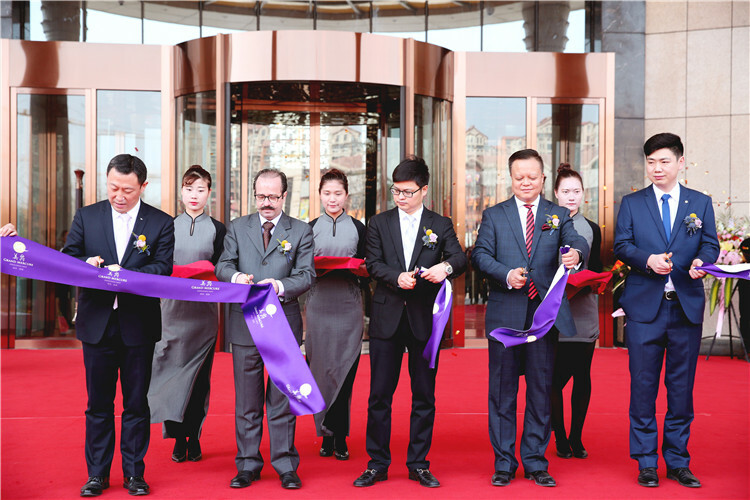 Grand Opening of Zhengzhou Xintian Mercure Hotel on March 28, Natural Resort with Peninsula and Lake View in Central Plains Unveiled - Henan Xintian Real Estate Group Co., Ltd.
On March 28, 2017, Zhengzhou Xintian Mercure Hotel held its opening ceremony. 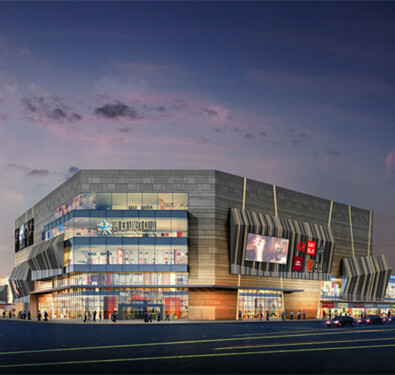 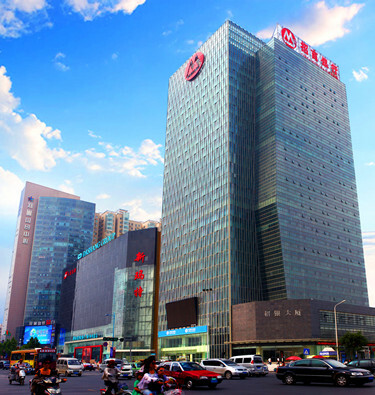 Accor Hotels is in charge of its operation. 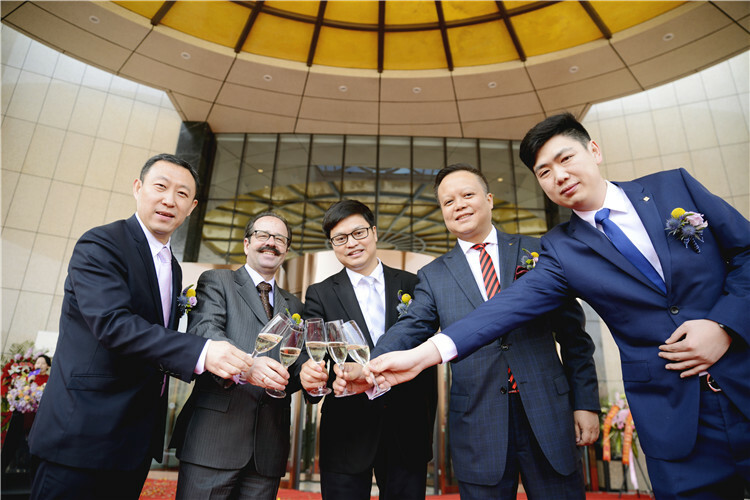 The ceremony featured Mr. Si Xiaowei (middle), Vice President of Xintian Group, Mr. Bo Tailai (second from the left), Operation Director of Accor Greater China Mid-scale and Mercure brand, Mr. Simon Tian(first from the left), Opening General Manager of Accor Hotel, Mr. Daniel (second from the right), General Manager of Zhengzhou Xintian Mercure Hotel and Mr. Yuan Yang (first from the right), Owners’ Representative. 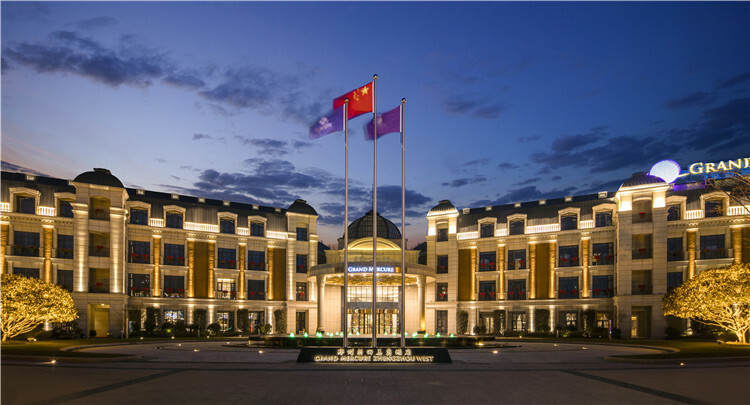 Zhengzhou Xintian Mercure Hotel, located in Donglin Lake Scenic Area in Zhengzhou, is a natural resort with peninsular and lake view in Central Plains with elegant natural landscape, whose opening marks a significant progress made in Xintian Town’s facilities. 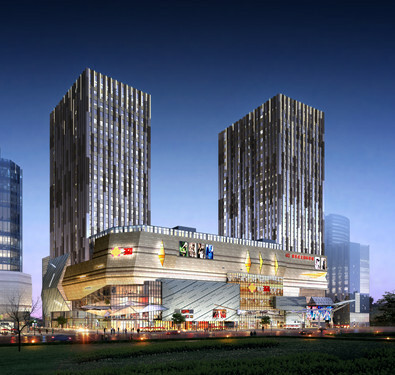 Moreover, drilling exploration for Donglin Lake Station on Metro Line 6 kicked off and Zhengzhou Capital Outlets held its ground-breaking ceremony lately. 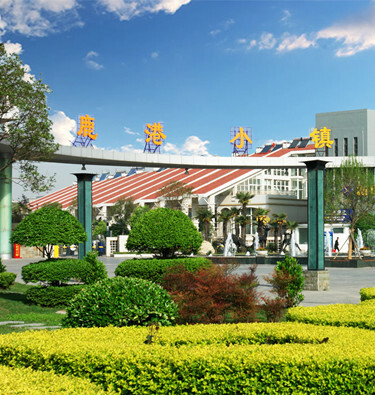 Thanks to all these opportunities, Xintian Town is gaining momentum in development with increasing attention and value. 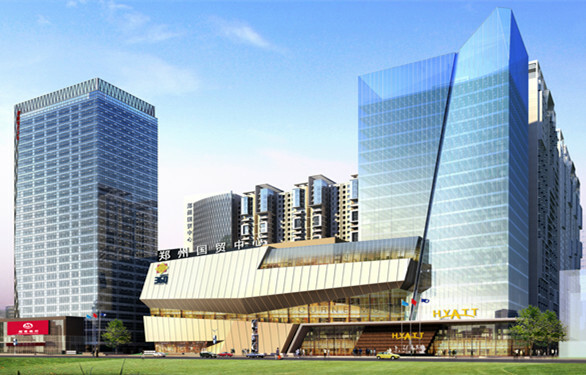 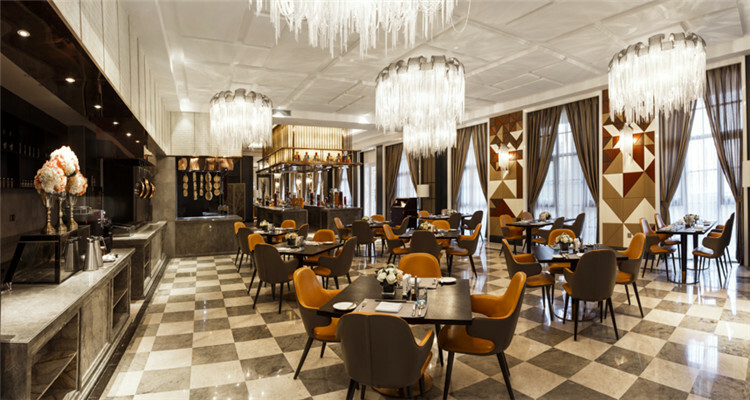 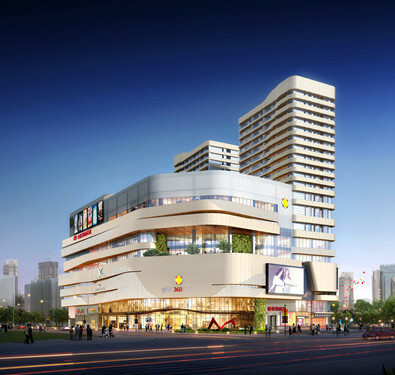 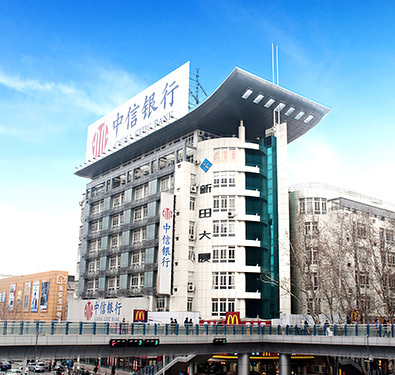 Zhengzhou Xintian Mercure Hotel offers 180 guest rooms and suites, ADD western restaurants and a lobby bar, seven upscale Chinese restaurants in local styles, two international banquet halls and multi-function meeting rooms. 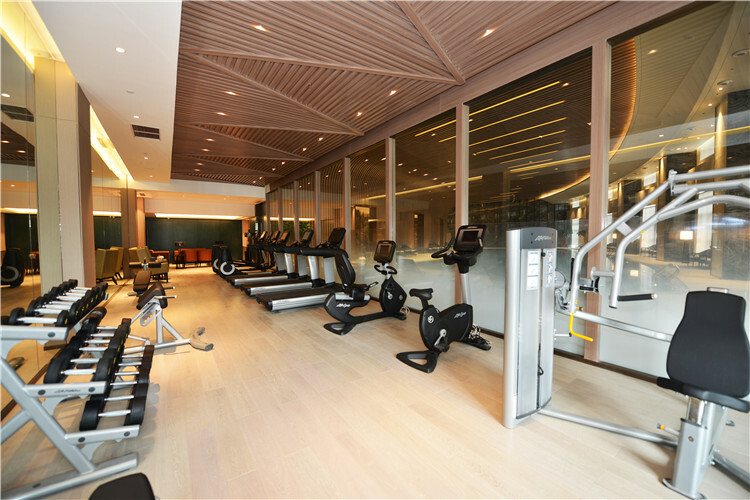 Besides, there are such supporting amenities as gyms, all weather indoor swimming pool, ecological farms, exclusive hot spring bars with hot spring from 2000 meters underground. 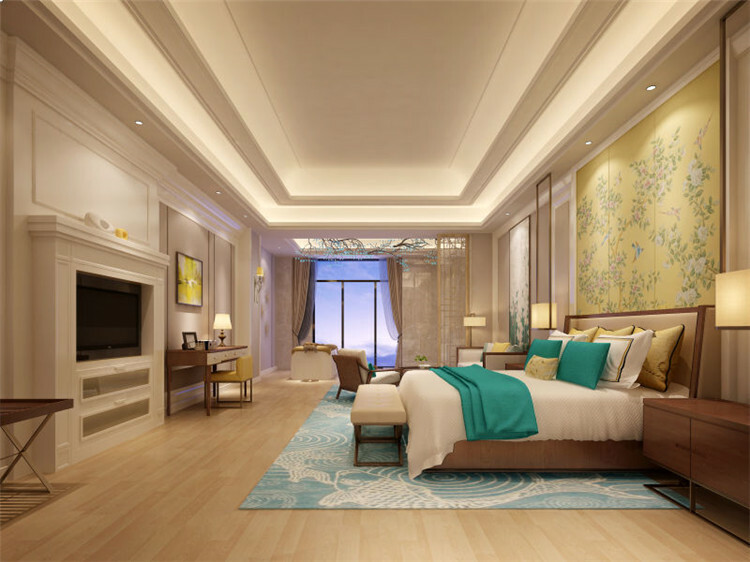 Delightful surroundings and rooms with spacious private gazebo will bring you with more opportunities to closely feel the outsides and enjoy a full sensory experience in the nature. 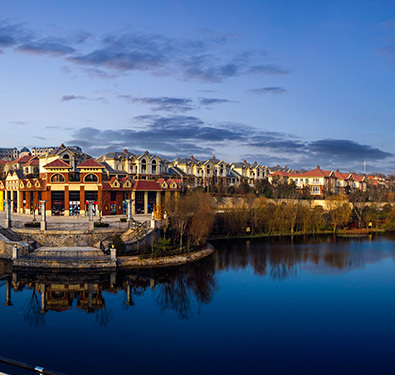 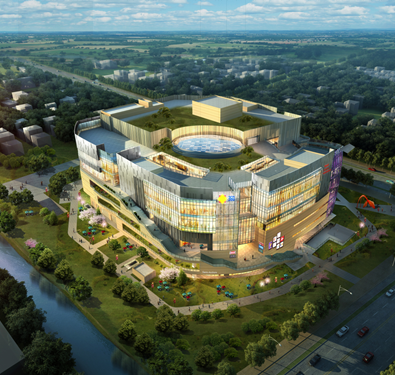 Over ten years of development and construction, the “Garden City” Xintian Town comes into reality step by step, making it an consensus that “Xintian is ripe”. 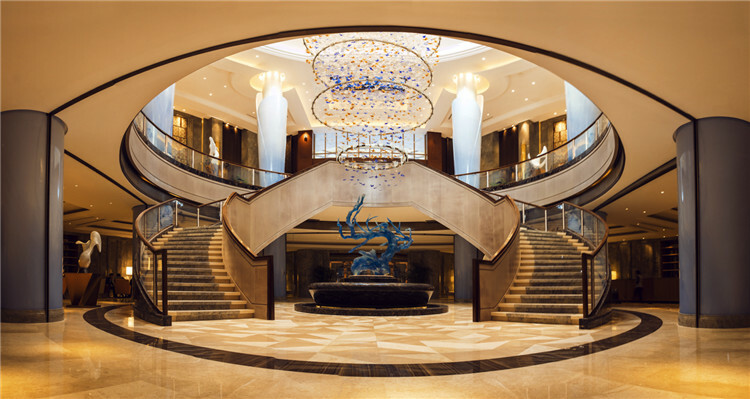 The grand opening of Zhengzhou Xintian Mercure Hotel put Xintian Town in a more excellent position to secure opportunities and further develop its facilities. 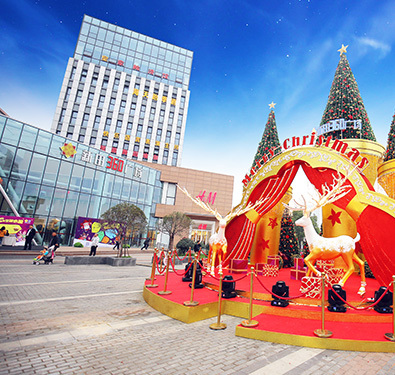 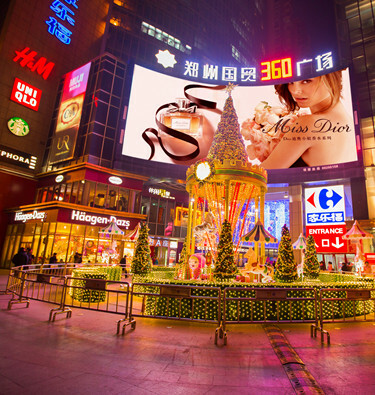 Win-win cooperation promotes regional development, well the growth of all properties in Xintian Town is bound to come with residence, vacation, agriculture, commerce and education in place.